When we get out of the glass bottle of our ego and when we escape like the squirrels in the cage of our personality and get into the forest again, we shall shiver with cold and fright. But things will happen to us so that we don't know ourselves. Cool, unlying life will rush in. We live in the Corporate World, the world of fight and success, ego and rise; which cages us and leaves us breathless which we don't understand till we get some time to introspect. Holiday is that escape to get some me and we time. But getting a holiday in today's corporate world is next to impossible, going on a long holiday is what I do only in my dreams. I am sure many people would connect with my plight. But as they say, when one door closes, another opens. So, I rely on weekend getaways to feed my "travel" hunger pangs. Recently I visited Durshet, an offbeat place near Mumbai. 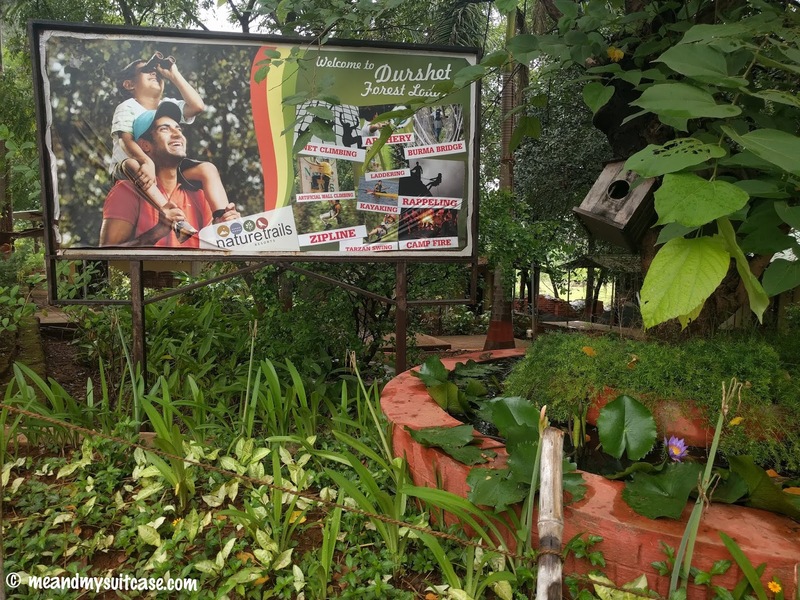 Not as famous as Lonavala - Khandala, Durshet is everything nature and adventure. 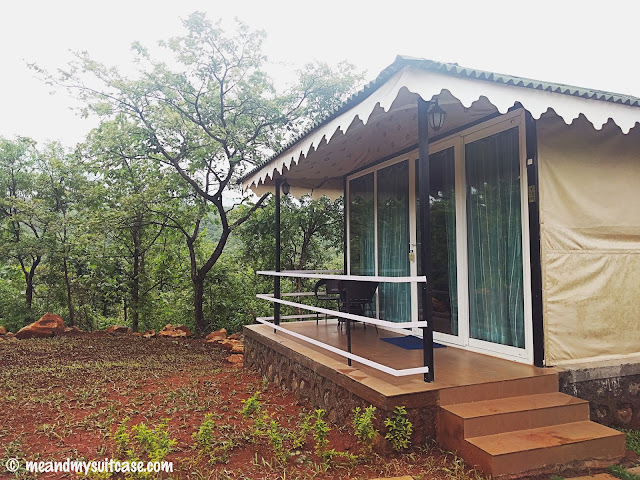 On my weekend stint, I stayed at Durshet Forest Lodge by Nature Trails, cocooned amidst the Sahyadri mountains. 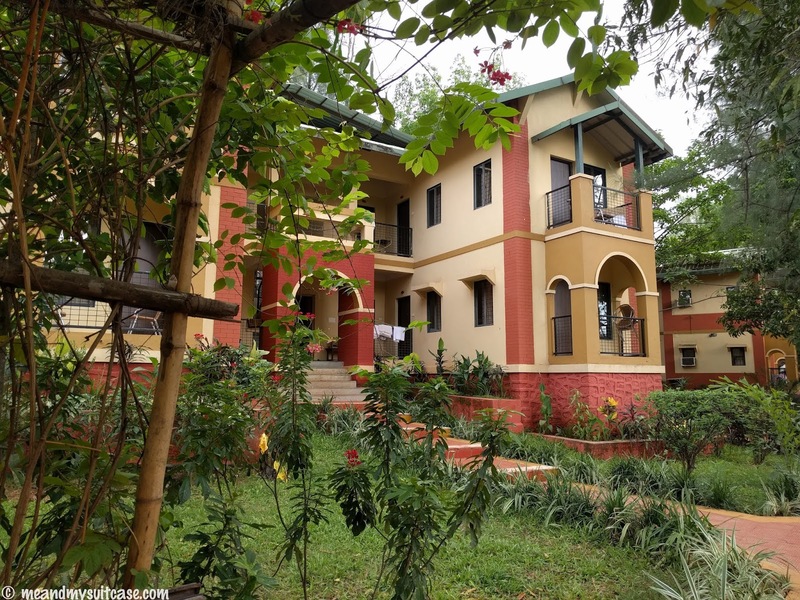 The property includes an excellent 35 acre natural forest with a diversity of plantation making it nature lovers paradise. 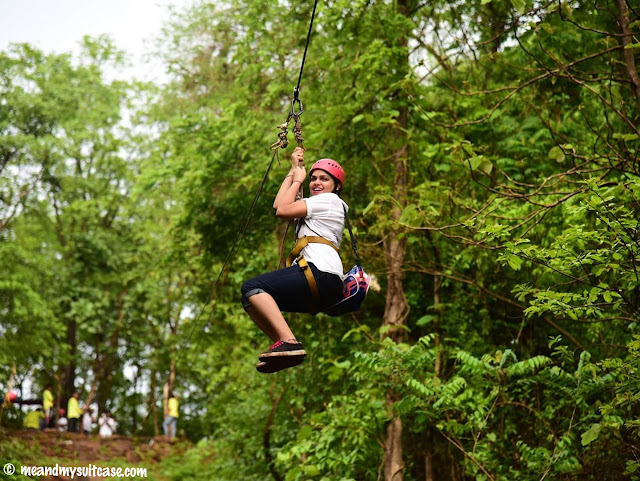 Durshet is also home to Adventure activities like Rappelling, Zip-line, Burma Bridge, Tarzan Swing, Rock-climbing, Hiking to name a few. With 16 AC Cocoon rooms, 7 large & 4 small Cottage rooms, 5 large dormitories, a well-equipped conference hall, a full-fledged kitchen and dining hall, Durshet Forest Lodge makes for an ideal vacation stay. 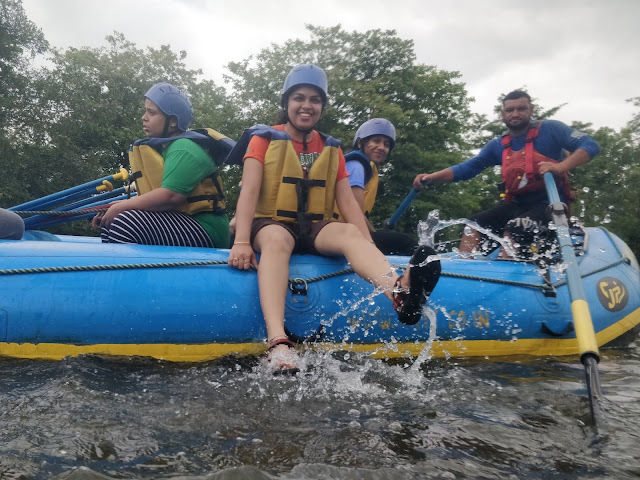 It is also an ideal stop-over point for Kundalika river rafting, an adrenaline boosting activity offered all year round at the Kolad Camp-site by Nature Trails. Those were the best two days in a long time. A break full of life, meeting new people, fun and adventure. Day 1 started with a bang, as we reached, the awesome मौसम embraced us as we walked in the resort. Our stay was arranged at the newly opened deluxe cottages which were at the dead end of the resort and isolated from the rest of the property. 10 cottages lined up in 90 degrees with a huge open space in the rest of the square, a swimming pool with cool blue water merging well with the green all around. The peaceful white coloured cottages with a blush of earthy interiors made for a beautiful abode. My roommate Brinda and I were given the last cottage next to which starts the jungle. After getting to know my roomie and enjoying a bit of room’s aura we left for our scrumptious breakfast. I loved the canteen, with huge mogli painting at the centre which synced well with the theme property. Post breakfast we got some time to interact with each other and have some time to get acquainted with the property. After having lunch we left for an action packed Nature Escape with Nature trails. 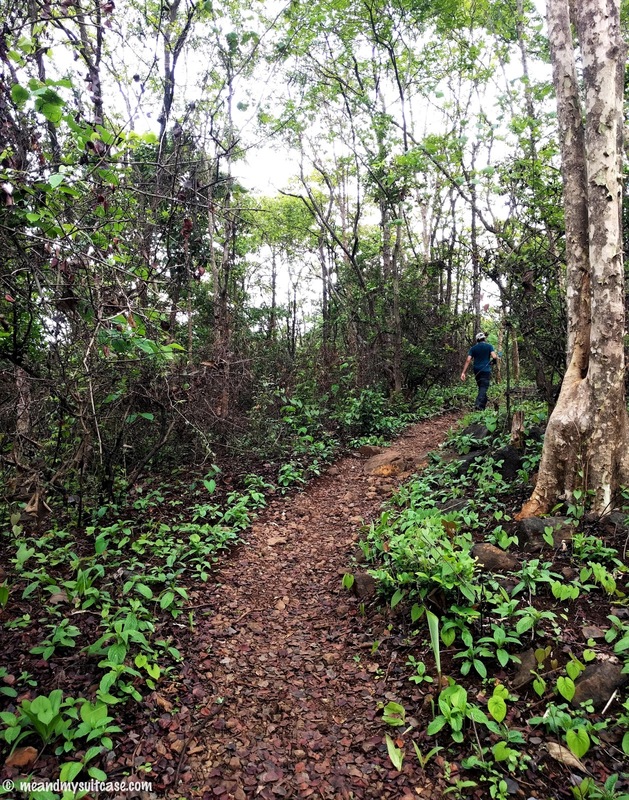 A 30 min walk into the lush green forest took us to the inner sanctum of jungle where all the adventurous activities were planned for us. The walk was amazing, something I wanted to do in a long time. Nature / forest walks always astonish me. make me feel light and whole, near to the maker of this world, life starts to make sense with such beauty around. Our first pit stop was Burma Bridge. Seeing them in movies or pictures in magazine always made me wonder, how one can walk on it without losing balance. On my first attempt itself I managed to cross burma bridge on to our next milestone which was to cross a huge valley through zipline. The adrenaline was rushing through my veins, as I was strapped and made ready to hold on to the pulley. I don’t know when I jumped clutching on my life but as gravity pulled me down, it felt rejuvenating. To add to that it started pouring which added to the experience. There was no time to take a break. Walking past the tall trees, we reached near a huge hillock where instructors were ready with our rappelling gear. Yes, I always wanted to do it but seeing the straight hill made me question, “How the hell I am gonna do this?” I have done wall climbing before and have rappelled back on it but this was different. The only apprehension was not to lose balance smashing my face in the harsh hill. I trekked to reach atop hill and asked many questions to my instructor on how to lean back and balance. As I started rappelling leaning my body back, trying & positioning it at 900, the song Lean On kept playing in my head. Adjusting my weight and trying to keep balance wasn’t very easy for me as a first timer but after a few steps down, it wasn’t that scary. The hill was wet with fresh rains, the chances of slipping were more and it made me wonder how people rappel in waterfalls. My newly made friends kept cheering for me and that made me feel good and more confident. As I was about to reach at the bottom of the climb, I heard my instructor saying, now you can let go your feet off the hill. I was surprised to make it that fast and craved to do it again. It was fun but with one more activity left for the day and it getting dark, we left for Tarzan Jumping. There was a small man-made pond which we had to cross at one shot in Tarzan style. I thought to myself it seems easy but when I attempted that was the only activity I couldn’t do successfully although it was the easiest of all and ended up landing inside the water. All drenched and after a good hearty laugh we all left for the resort. Bidding goodbye to the setting sun and welcoming moon as soon as we reached the resort, we all jumped in the swimming pool and watched the night set in and gazing stars. It was a cloudy affair yet the moon made its way out with a little stars accompanying it. We called it a night with simple yet scrumptious dinner. But my night was still not over. After chatting with the group, my roommate Brinda and I spent a lot of time knowing each other and discussing some interesting stuff. Day 2 started pretty early, we packed and left for the quaint village Kolad after a hearty South Indian breakfast. Kolad - have been here and done that but the group was new and I never say never, so again getting strapped in the life jacket and helmet, carrying my paddle I walked to the bank of river Kundalika. It didn’t look like a river but a small stream which could be crossed easily. People who ain’t aware, river rafting at Kolad can be enjoyed 365 days unlike other rafting destinations. The water here is controlled by Tata Powers and is left from the dams at a set time. As it was released from dam, I could see the water gushing in and fill the river bed. It was a wonderful view. As soon as the instructions were over we jumped in our raft in a group of 10. We were headed by our humorous and friendly guide Vinit. On a 16km stretch we faced many small rapids with the maximum one of grade 3 category named John Kerry which is indeed a violent one. Roaring forward-forward we kept rowing through the waves. In the end we all jumped into still water, floating and singing. Rafting under the rain and floating in water, left us hungry. As soon as we reached the banks, we all carried the raft uphill on our shoulders. It was heavy and that triggered our hunger further. Later, we were all treated with mouth-watering vada pav and corn fritters. But the road didn’t end there, we walked uphill in heavy rain which was in fact very soothing and had our lunch at Kolad camp site by Nature trails before leaving for Mumbai. My weekend was action packed and fulfilling. If you want to escape the crowd and spend your weekend with nature, I suggest an experience at Durshet with Nature Trails & Sterling. 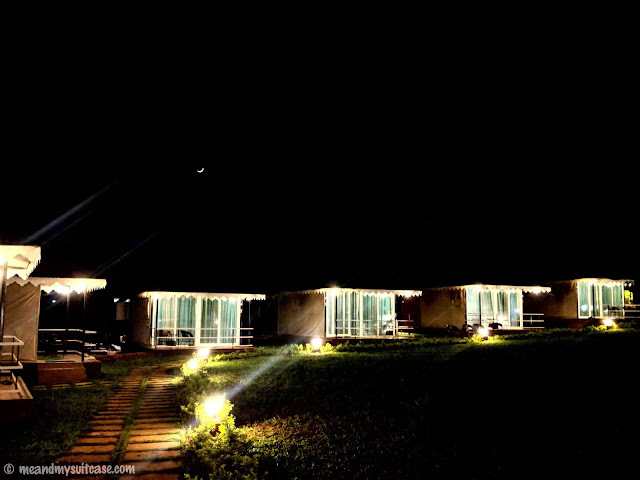 They also offer Kayaking (in monsoon), Jungle Cooking, Archery, Trekking, Live DJ, Barbecue etc. Take the Mumbai-Pune Expressway upto Khalapur Toll Plaza. After paying the toll for Khopoli go for ~ 1 km and take the Khopoli exit on your left. After exiting the expressway, take the flyover to your right, immediately after flyover, take left turn on Pali road and drive for 12 kms till you reach Durshet. 8 kms after Adlab Imagica. Take the Mumbai Pune Expressway upto the Khalapur Toll plaza. Take left immediately after paying Khalapur toll. Go 2 kms take left on Pen road, go to Pali phata, take right after Adlabs Imagica. Resort is just 8 kms ahead. Disclaimer: I was hosted by Nature Trails in association with Sterling Holidays but the views as always are my own. For more pictures check out www.instagram.com/junkkdna. Don't forget to follow us for more travel stories and updates. This place looks like a perfect weekend gateaway from Mumbai. What were the rates? Is it OK for budget travelers? So well written. Durshet is on my mind. It's such an offbeat destination. When I was in Mumbai I planned it so many times but never managed to make it happen. Now I know what i missed after reading your blog. Makes me want to take a break and live midst nature for a change! Very well written. It is indeed true that these days long holidays look quite a dream. 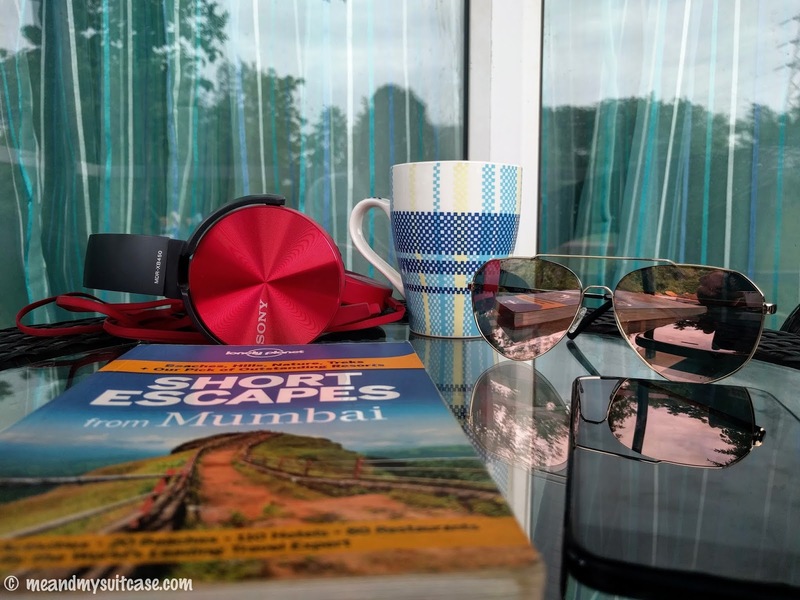 So weekend getaways are there to keep us happy! Durshet looks such a lovely place with all the adventure activities. I can understand the feeling of high after completing a zipline. :-) Now I wish to do rapelling as well!